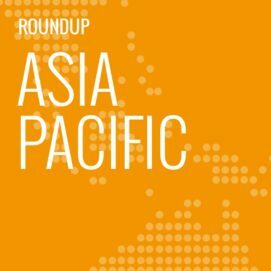 In this weekly segment, ExchangeWire sums up key industry updates on ad tech from around the Asia-Pacific region – and in this edition: TV ads have diminishing influence in AU; China video ads climb to £966m in 1Q2017; AU small firms lack resources for marketing; Rapport goes up in Malaysia; Grey ‘Hug’ it out in Dubai; Swisse Wellness buys AU creative agency; Kargo gears up in NZ; and GroupM releases Thai digital playbook. TV ads still have an influence on consumer buying decisions Australia, but its impact is falling whilst that of social media ads is growing fast. 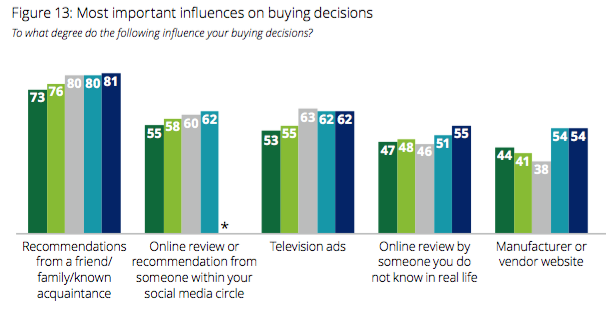 Word of mouth and online reviews from friends led in terms of impact on buying decisions (73% and 55%, respectively) while 53% cited TV ads as an influence, revealed Deloitte’s Media Consumer Survey 2017, which polled more than 2,000 consumers online in Australia. The influence of TV ads had dipped from 55% last year and had been falling since Deloitte began the survey in 2013, dropping 10% over the time period. In comparison, social media ads saw their influence on buying decisions climb 36% this year and 14%, in compound average growth rate (CAGR) since 2013. This placed social media on the same rung as newspapers (38%), radio (37%), billboards and posters (36%), and magazine ads (35%). The impact of social media was most evident amongst millennials, putting it almost on par with TV ads. 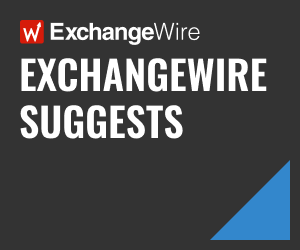 The study also found that 27% of respondents would offer personal data in exchange for more targeted ads, almost unchanged from last year’s 26%. However, 70% expressed concerns about falling prey to identity theft as a result of sharing their information online, compared to 74% in 2016. In addition, 70% found it intrusive when ads for products they browsed elsewhere appeared on their mobile devices. The study found that, if given the option, 77% would skip a pre-roll video ad, and 50% were likely to abandon a short video completely if they could not skip the ad. With regards to mobile ads, 48% said they would pay more attention to ads that they could skip than those that did not provide that option. Some 31% of Australian consumers currently used ad blockers, compared to 28% last year. China’s online video advertising climbed 51.4% year-on-year in the first quarter of 2017 to hit ¥8.37bn (£966.89m), fuelled by membership-driven businesses and heightened activities amongst online video platforms. These video services providers had been actively seeking out alternative advertising formats other than in-stream video ads, including interstitial and out-stream ad forms, according to iResearch. The local market analyst projected that revenue from different video ad forms would feature more significantly in the online video industry, with in-stream video ads taking a less dominant role. For the first quarter, China’s online video market churned ¥17bn (£1.96bn) in revenue, up 47.4% year-on-year but down 8.1% over the previous quarter. iResearch attributed the revenue drop to a “gloomy” ad market in the first quarter of 2017. Only 23% of Australian small businesses can afford to employ a dedicated person for marketing; and 22% will not be doing anything to improve their marketing skills this year. Another 33% said they did not have time to enhance their marketing skills, while 21% did not know how and 19% had no budget to do so, according to research from Australian marketing services company, Salmat. It categorised small businesses as those with up to 24 employees. The study further revealed that 52% of local small businesses regularly measured their campaigns, compared to 75% of midsize businesses with between 25 and 200 employees. Asked about challenges they faced in measuring their campaigns, 44% of small businesses pointed to lack of time, while 18% cited lack of knowledge. Amongst those that evaluated their campaigns, 58% failed to use the insights to enhance their campaigns, putting them in the same plight as 67% of midsize counterparts. Some 62% said they planned their marketing strategy three months in advance, while 88% said they had a six-month lead time. IPG Mediabrands has unveiled its out-of-home (OOH) brand ‘Rapport’ in Malaysia, where it is looking to beef up its service portfolio. The agency group said the launch would bolster its offerings in the country and provide “a complete service” that integrated outdoor advertising, mobile, digital, and emerging technologies. The WPP agency has purchased a majority stake in Dubai-based digital agency Hug Digital, the services of which include social media, content marketing, and influencer marketing. Grey Group’s Asia-Pacific, Middle East, and Africa chairman and CEO, Nirvik Singh, said the acquisition would strengthen its footprint in the Middle East and North Africa region’s creative and digital industry. The agencies did not reveal financial details involved in the deal. According to the statement, Hug reported AED19m (£3.98m) in revenue last year and operated offices in India and Egypt, in addition to its headquarters in Dubai. It had 145 employees. The Australian wellness and multivitamin brand has upped its shares in local creative agency, Noisy Beast, taking on a majority 53% stake and making the latter a wholly owned subsidiary. The acquisition deal aimed to augment Noisy Beast’s business and capabilities in Australia as well as other global markets. According to the agency, over the next six months, Noisy Beast would be looking to establish its presence Hong Kong and double its team in China, where it said it had “intimate” local knowledge. The mobile ad vendor has opened its second Asia-Pacific site in Auckland, adding New Zealand as its fourth global market. Tim Richards, appointed sales manager for the local outfit, would be responsible for promoting Kargo’s offerings to agencies and brands, as well as expanding the company’s partnerships with publishers in the region. The WPP agency has released its third annual report on Thailand’s marketing and consumer trends, aimed at featuring best practices for the local digital industry. 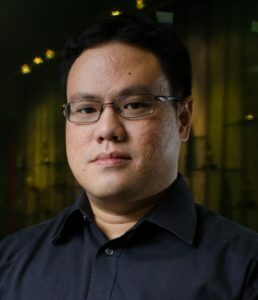 The Thailand Digital Playbook offered an overview of key digital advertising and media statistics, market insights, consumer industry developments, as well as macroeconomic data from GroupM’s own research and partners, the agency said. Amongst the range of issues discussed included digital ad spending and growth across top categories, mobile user behaviours, and virtual currency.